The land theft was egregious, a litany of broken promises and failed efforts to make things right. The Cheboiganing Band descendants still fight for justice today. When settlers stole their land, they lost their federal recognition as a Native nation. They want it back. The Cheboiganing (Burt Lake) Band had lived in the same area for thousands of years, in what is now the northern tip of Michigan. As was the story for many Native American nations, those in present day Michigan first fought the British, then the United States, then made peace through treaties. Broken Promise #1: In the 1836 Treaty of Washington, the Anishinaabe (or Chippewa) ceded nearly 14 million acres to the U.S. government. The treaty was supposed to provide the Burt Lake Band of Ottawa and Chippewa a 1,000-acre reservation on Lake Cheboigan. In the late 1840s, the Band started using its treaty annuity payments to buy land, eventually securing 375 acres around the lake. The state of Michigan held the land in trust. Twisting Treaty Language: The 1855 Treaty of Detroit allowed the Ottawa and Chippewa Indians to select individual allotments of land in the area around where the Band already had purchased lands. Implementation took more than a decade. Meanwhile, a separate treaty provision dissolved the combined organization of Ottawa and Chippewa Indians. Government bureaucrats would later interpret that language to mean the nations had lost federal recognition, essentially terminating them. While various Bands of the Ottawa and Chippewa would later regain federal recognition, three did not, according to Wikipedia: the Grand River Band of Ottawa Indians, the Swan Creek Black River Confederated Ojibwa Tribes of Michigan and the Burt Lake Band. This interpretation had devastating consequences. The Swindle: “Reservations” are sovereign nations; they don’t pay property taxes to local unites of government. As Burt Lake was not federally recognized, Cheboygan County officials decided they could impose property taxes. The dispute over taxation simmered for decades. The Band eventually lost its land due to “back taxes.” A man named John McGinn acquired the rights; he is described in historical accounts variously as a banker and timber speculator, and someone who was well connected. Violence: The Burt Lake Burnout: Burt Lake Band members refused to leave their lands. 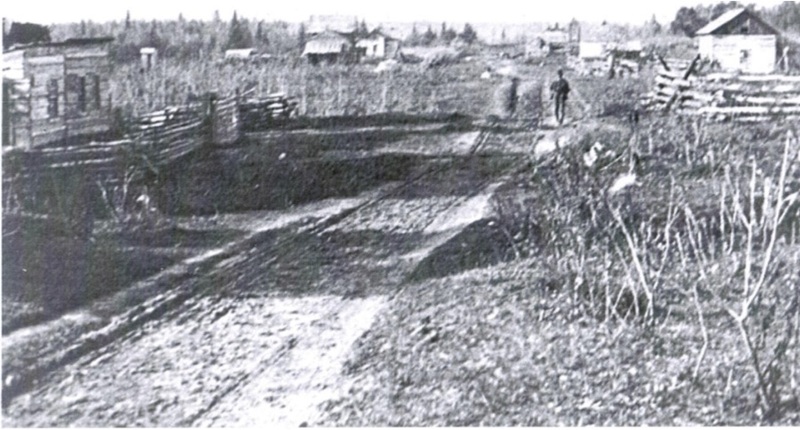 On Oct. 15, 1900, with the help of Sheriff Fred Ming and other white settlers, McGinn set out to take the land by force. The Band’s website describes what happened next. Herding the women and children out into the cold autumn rain, they doused their houses with kerosene, set them on fire and ordered everyone off. The homeless Indians walked 35 miles in the rain to the mission settlement at Cross Village, the closest place where they could find shelter. One Burt Lake Band descendant recalled, with irony, that while the white settlers burned all the homes, they spared the Band’s church, because “that would be wrong,” according to the Michigan Public Radio story. The resolution concluded by stating that Michigan would set aside up to 400 acres of land “for the benefit and use” of the Band. Further Federal Failings: In 1911, the United States sued in federal court on behalf of the Burt Lake Band, seeking to regain control of the land, according to a Congressional Report. In 1917, a federal court ruled against Burt Lake. The Burt Lake Band applied for federal recognition in 1935, according to the Michigan Public Radio story. They had no land, a prerequisite for recognition. The Bureau of Indian Affairs (BIA) never responded. Recent History: The Band applied for federal recognition again in the 1980s. After an almost 20-year wait, the BIA turned it down. According to the Michigan Public Radio story: the Burt Lake Band sued the BIA in 2017 for recognition. The case — now 119 years after the land swindled — is still pending. Please consider sharing this blog.